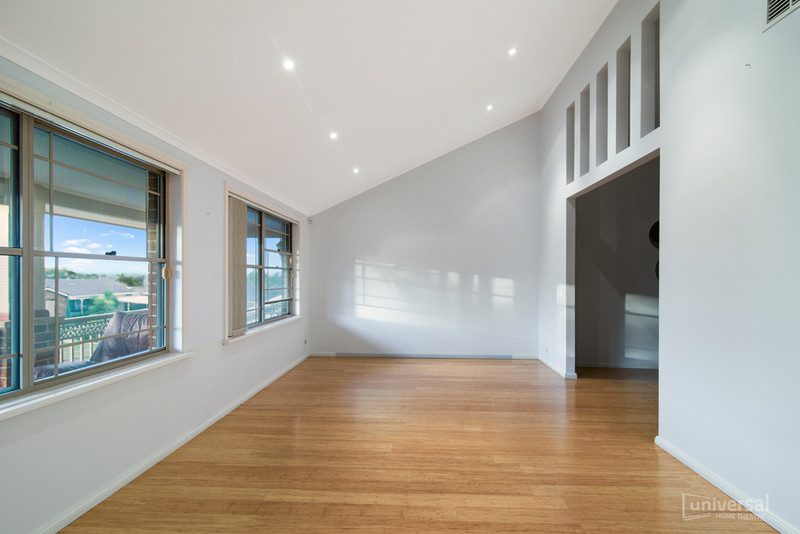 Complete custom fitout in this room which started as a formal lounge but was never used by the client. 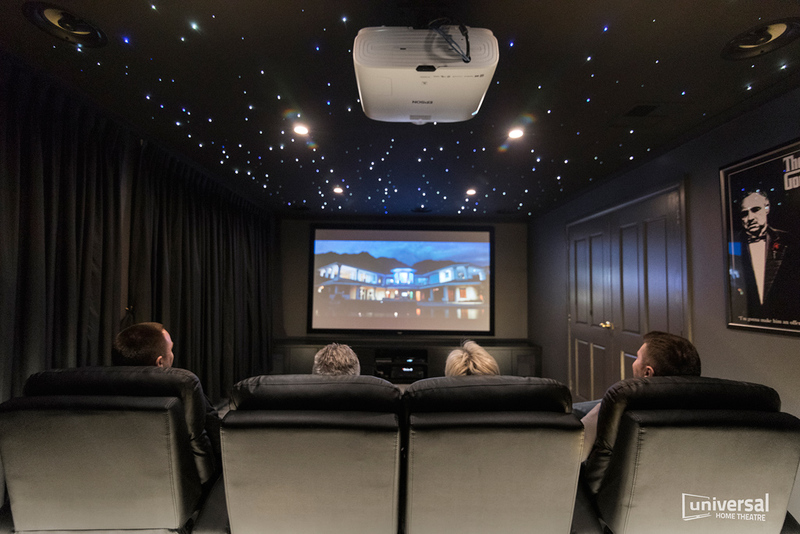 We assessed the room and the size was perfect for us to create that in home cinema experience. The team set to work to drop the ceiling height, close off the rear of the room, frame in the step up, install double folding doors on the side, carpet, curtains, painting, cabinetry and last but not least the amazing talent of the Universal installers putting in 500 kit optic fibre ceiling which involves drilling 500 x 1mm holes and inserting the fibres through, patching the ceiling and spraying with Dulux theatre black. We also added the special touch in this room with finding out from the customer there favourite movie of all time and adding a gloss framed ‘The Godfather’ as a gift. All in all this was a great project and along with our strategic partners who carry out the building works, painting, carpets, cabinetry and curtains rooms like this happen in a matter of 2-3 weeks from start to finish.